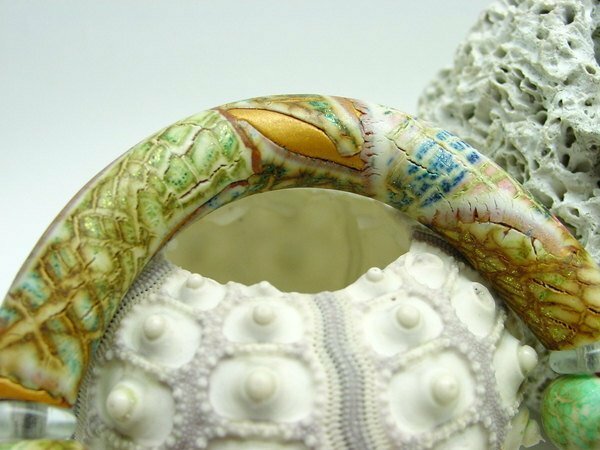 This tutorial teaches you my innovated technique as well as projects. 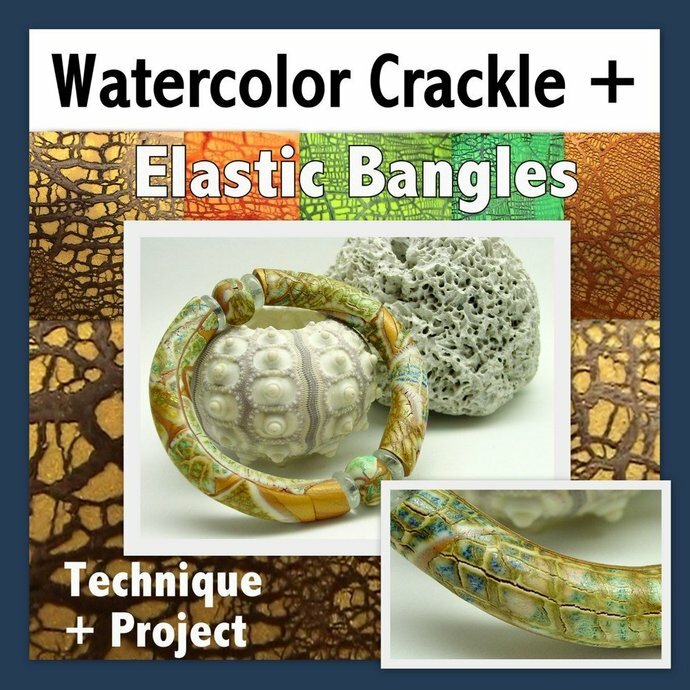 First Iâll show you how to create the crackles and craze with the full tutorial of "New Crackle", then second, 2 versions of bracelets, round and flat round, expanding, elasticized, bangle bracelets. 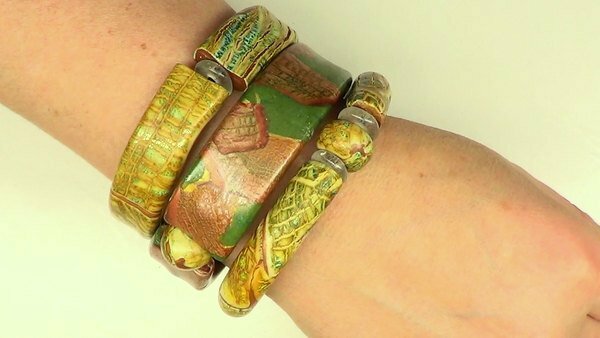 Nothing gets wasted when you use the crackled veneer for other projects and then use the left over bits to create these types of bracelets. 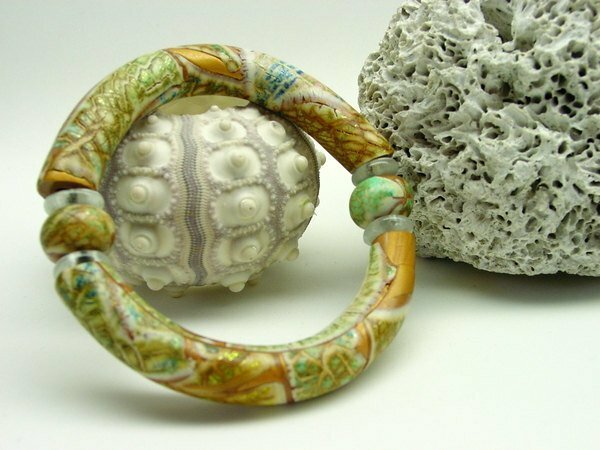 The Bangles are unique in that the 2 halves interconnect with elastic. 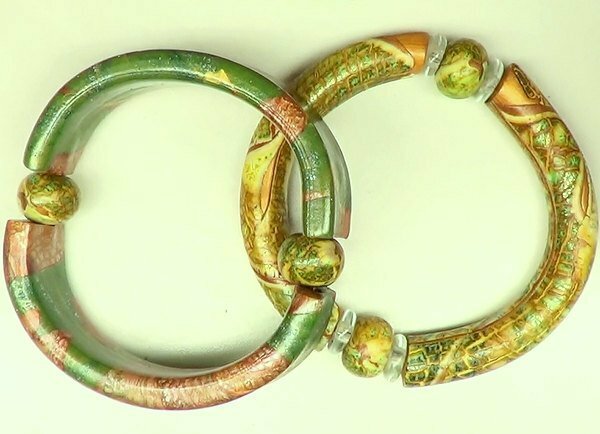 You can also create these bracelets with other veneers such as Mokume gane, milifiori canes or my Batik technique which I think is a lot of fun. or use the new recipes!